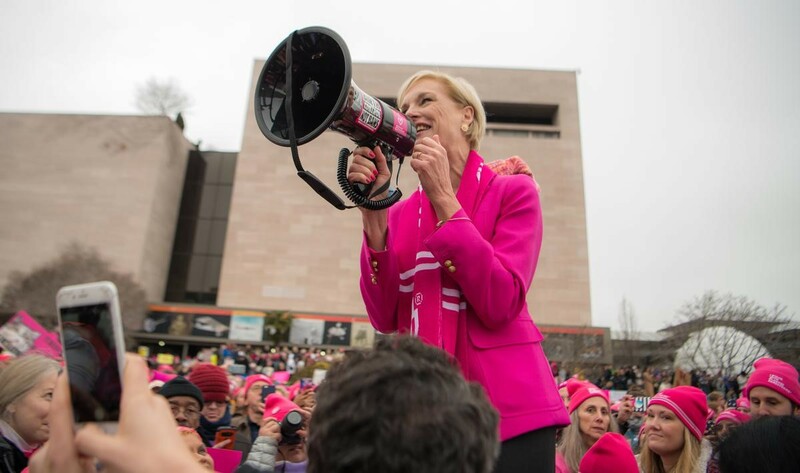 Former Planned Parenthood President Cecile Richards will lead a rally Friday to help get out the vote among young Oregonians on behalf of Planned Parenthood PAC of Oregon. She’ll urge voters to support the re-election of Gov. Kate Brown and to oppose the anti-abortion Ballot Measure 106 and the anti-immigrant Ballot Measure 105. The rally will be held from noon to 12:30 p.m. in the quad on Portland Community College’s Cascade Campus. Under Richards’ 12 years of leadership, Planned Parenthood increased its base of supporters from 3 million to 13 million. She made sure Planned Parenthood was at the forefront of efforts to expand access to birth control and preventive care under the Affordable Care Act. And today, the nation is at a 30-year low for unintended pregnancy. For two consecutive years, she was named to the TIME 100, the magazine’s annual list of the 100 most influential people in the world. Brown has been a steadfast champion for reproductive health care. Under her bold leadership, she signed the nation’s most progressive reproductive health policy and she made Oregon the easiest place in the nation to get birth control. WHERE: Quad on Portland Community College’s Cascade Campus, 705 N. Killingsworth St.